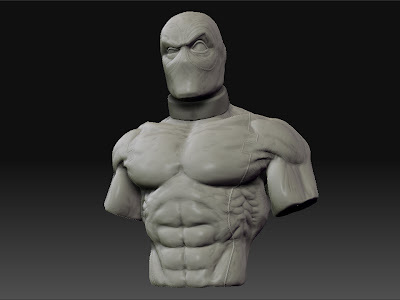 Quick sculpt of Randy Bowen's Deadpool. Below is the timelapse of the sculpt from zspheres to this. No emphasis on anatomy really, just following Randy's original sculpt. Just a fun little piece of my favorite merc' with a mouth.